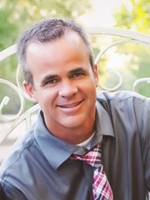 Joel Beckstead, PhD, ABPP, graduated from Brigham Young University with a PhD in clinical psychology in 2002. He is board certified in clinical psychology from the American Board of Professional Psychology. Upon graduating from Brigham Young University, he served for 4 years in the United States Army from 2001-2005 and deployed to the Pentagon in 2001 shortly after 9/11 to provide support to the service men and women stationed there. After completing his service in the Army, he accepted a job with Immigration and Custom’s Enforcement as the Arizona Mental Health Consultant. In July of 2009 he was hired as the Clinical Director of Desert Visions Youth Wellness Center in Sacaton, Arizona.